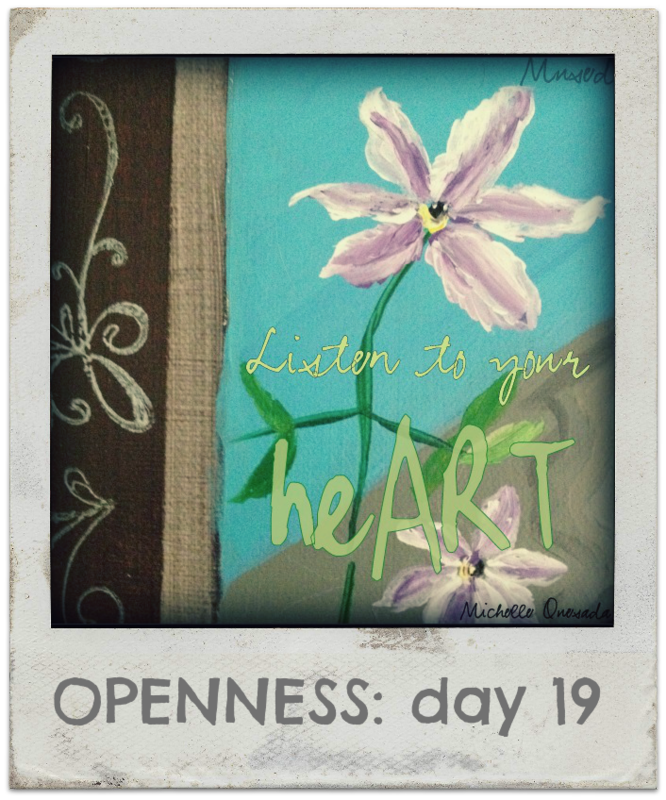 Over the last 19 days my creative community has been participating in a creativity challenge. This was actually the request of one of my favorite Mused “fans.” Though I really don’t think of her or many others as fans, but more truthfully as fellow creatives. She liked the idea of having a daily activity that we could all work on together. Throughout the event as people consistently participate, I am noticing individual themes emerge with their submissions. Today a new page was formed by one of the challenge participants. It is hard to explain how heart warming this is. While working on Mused, I have watched several pages get started. In fact, one page has more that 18,000 fans to date! I believe that most of us just need a little encouragement to be ourselves in order to share our creativity with the world. We are doing an important task by nurturing our inherent trait of making, doing, creating. Carry on! This entry was posted in Uncategorized and tagged art, community, creative. Bookmark the permalink. Wow! Thank you so much! Truly, I am honored.